We love our hikes. Winter, summer, whenever. We also love visiting beaches. 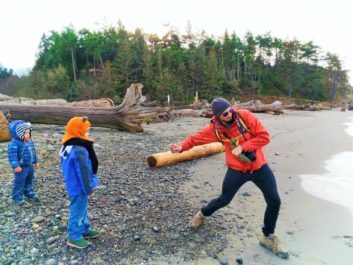 Have you ever done beach hiking? Beach hiking is an awesome challenge because it is so different than hiking on a hard rock trail. 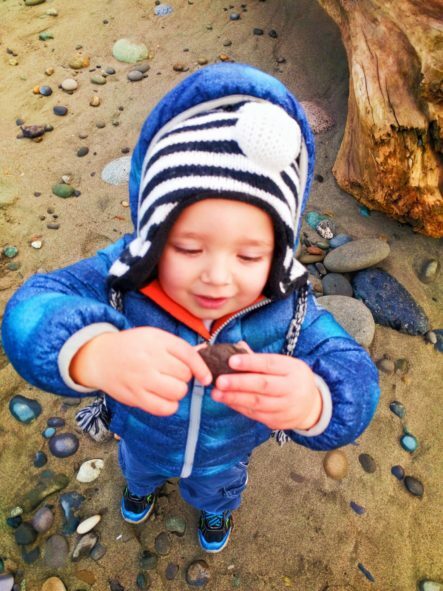 The Dungeness National Wildlife Refuge is a perfect place to experience beach hiking as well as have some fun in our Pacific Northwest coastal woods. 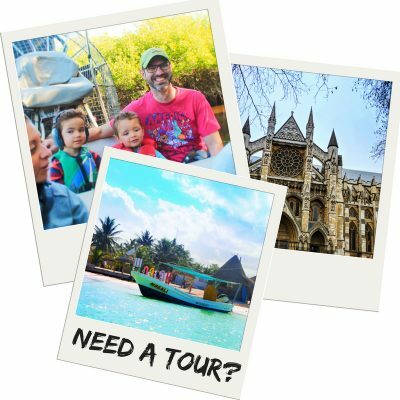 Now, depending on if your goal is having a beach day or seeing wildlife you might have two different types of experiences. If you want a beach day, great just walk down the trail set up shop and you’re good to go. If you’re looking for wildlife you’ll need to keep an open eye and it’s worth it to do the full beach hike in hopes of seeing whales. 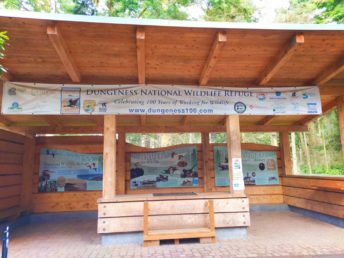 Located just outside the town of Sequim, Washington the Dungeness National Wildlife Refuge is really easy to find and get to. 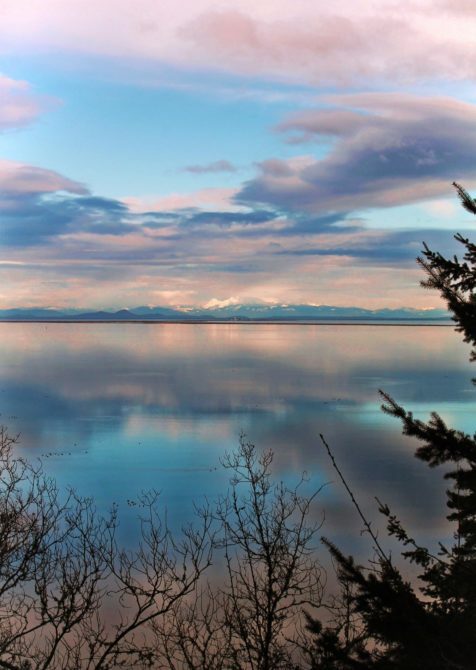 No matter where you are in Sequim if you can see the water you can see the Refuge. 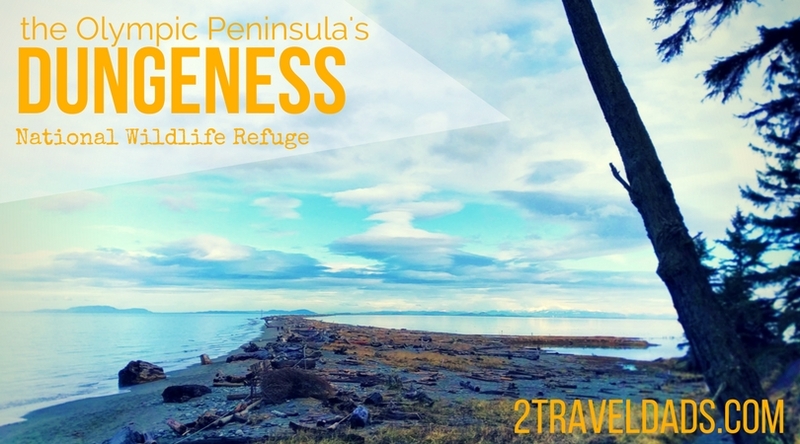 When you hear people mention the Dungeness Spit they are talking about this protected area. 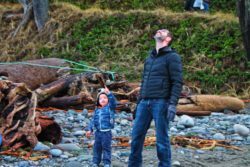 If your final destination on the Olympic Peninsula is someplace other than Sequim, such as the Hoh Rainforest or the Twilight beaches of La Push, you’ll have to drive past the Dungeness anyways. You might as well leave earlier in your day and get to have a beautiful experience down on the water. 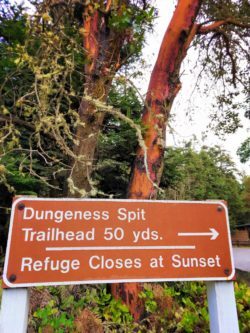 If you’re doing a reverse loop on the Olympic Peninsula, starting down at Lake Quinault or Ocean Shores and heading back around towards Port Townsend, Dungeness is going to be near the end of your days Drive. So sunrise or sunset, you’re going to get beautiful views. It’s so easy to carve out some time to visit! 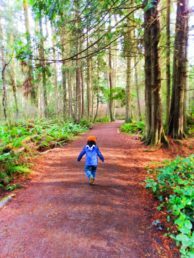 Washington State’s Olympic Peninsula is chalked full of nature and beautiful destinations. The perfect BNB, Domaine Madeleine, is an ideal home base to explore Washington’s coastal mountain range. 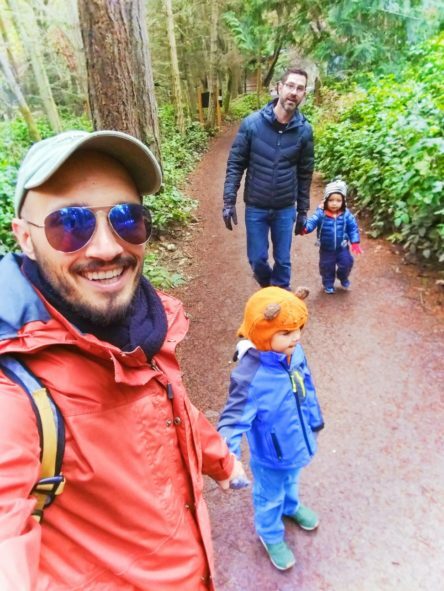 Hiking to the beach is the easiest part of the visit. After you pass the lookouts and campground, there is a large parking area. 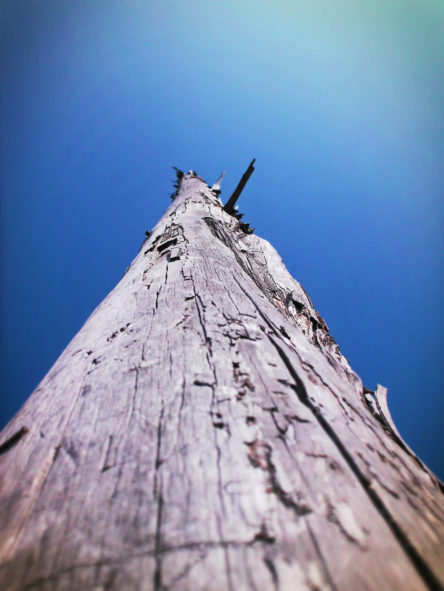 It’s got some great information about the coastal forests you’re heading into. 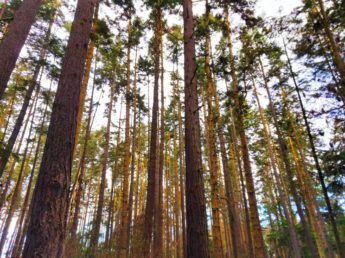 We’re talking about thin forests that get battered by some intense storms, so there’s going to be a lot of Douglas firs and cypress trees as well as some cedars. Expect a good deal of shade in the woods due to their height. All this shade means that you get to see beautiful moss, lichens, and mushrooms so keep your eyes up to the trees and down on the ground. Not looking at your phone. 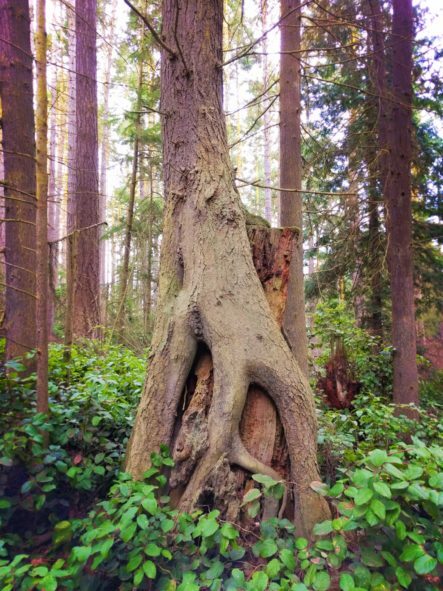 Tip: another common tree that makes the coastal forest so cool is the Madrona. It’s got the most beautiful red, orange and brown paper-ish back. So pretty to photograph. The trail through the woods is extremely easy and smooth. It’s a very well-maintained trail and receives lots of visitors so, while I’m not going to say that it’s handicap accessible the entire way to the beach, I would feel confident directing somebody with an off-road wheelchair or somebody who needs to be cautious in their steps to still do this trail. It’s an easy trail if you got a stroller and come to think of it, I actually can’t think of anybody who wouldn’t enjoy it. Before you get to the beach there are two different viewpoints/platforms where you can view the lagoon of the Dungeness National Wildlife Refuge all the way out to the Dungeness Spit lighthouse. Even if you’re not up for doing the beach hike you can still get a good portion of the experience and see a beautiful view. 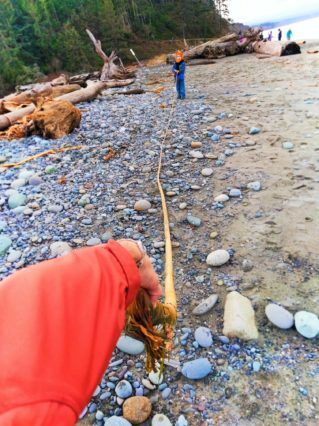 One of the best workouts you don’t realize you’re getting until you are halfway through is a good long walk on the beach, or as we like to call it beach hiking. Hiking on the beach is so tiresome because the sand gives out under your feet continually so you’re having to work twice as hard to go half as far. This doesn’t mean you shouldn’t do it, it just means that you should be prepared to be tired and have the most amazing time. 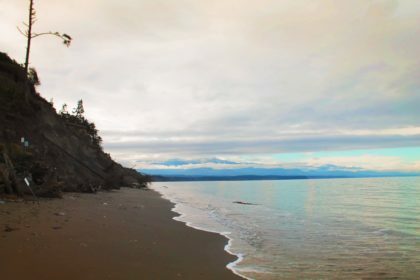 If you are at the Dungeness National Wildlife Refuge and doing beach hiking chances are that you are actually heading out to the Dungeness spit lighthouse. The lighthouse is five and a half miles from the trailhead (11 miles round-trip). It’s the only way to get to it so if you really want to visit it then just buckle down and do it. You need to start early in the morning and plan to have a very long day. 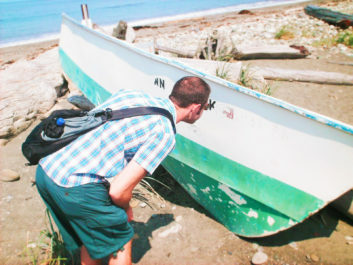 Tip: be aware of tides and smart about your hiking. Exceptionally high tides will leave you without a path and in great danger. Research if it’s safe to do the hike when you’re visiting. Note: Check out our non-complete guide to lighthouses for others you can visit more easily. 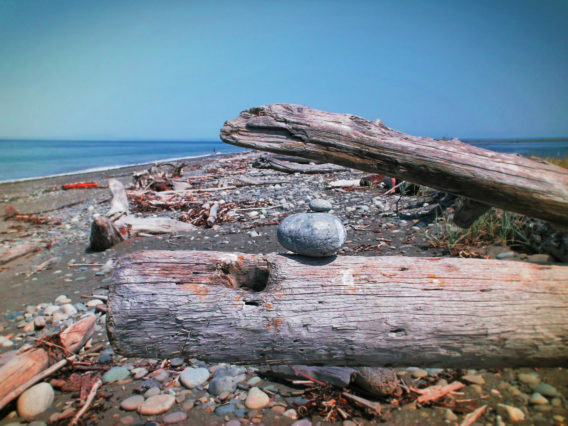 Whether your goal is making it all the way out to the Dungeness Spit lighthouse or just having a nice time at the beach you’re going to come across an infinitesimal amount of driftwood. 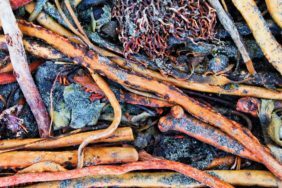 From teeny tiny sticks that have been washed across a thousand waves to enormous stumps and whole trees, driftwood from all over the Puget Sound and maybe even all around the Pacific Ocean collects on the Dungeness Spit. 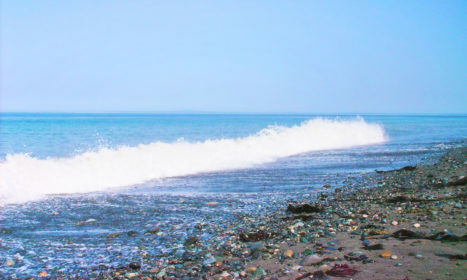 The Spit’s location is perfect for getting washed ashore because of how the tides change and how it jets away from the land. 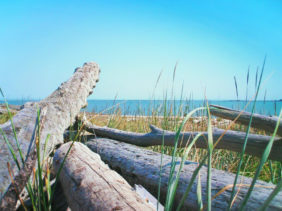 The driftwood is beautiful to photograph or sit on and enjoy, but don’t take it from the beach. Your at a national wildlife refuge, not your public beach that has a driftwood contamination problem. 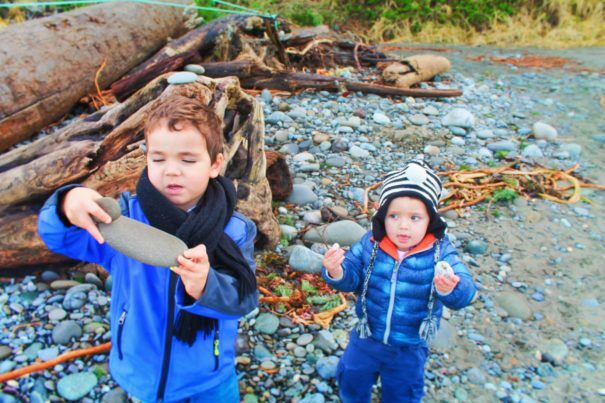 If you’re lucky you might find some really cool shells while walking along the Dungeness spit. We found mostly large clam shells and scallops here. It’s rare to find oysters, mussels, or snail shells here due to the location and the strong currents. Oh, and you’ll see a lot of crab shells: Dungeness crab shells. 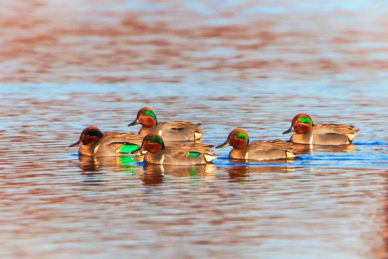 Wildlife is the main reason that you’re going to the Dungeness National Wildlife Refuge, correct? I mean, you want to see wildlife. Right? Of course you do. There will be plenty of opportunities for bird watching or even spotting different marine mammals but you have to be alert. We aren’t big birders in our house but we do get excited when we see beautiful birds up close or majestic birds soaring above us. 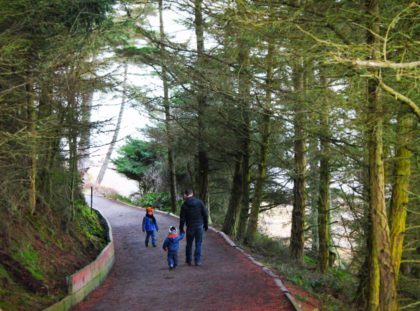 Dungeness National Wildlife Refuge is perfect for both. As you’re doing the trail in the woods no doubt you are going to hear and see countless woodpeckers. If you’re there while one of flowers are blooming you’ll probably also spot a few random hummingbirds. The big-ticket birds are what you’re going to see down near the water. 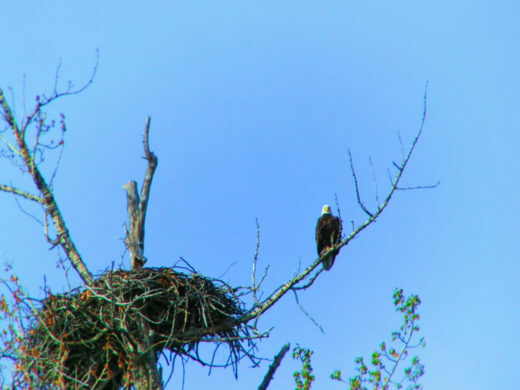 Bald eagles used to be endangered but thanks to amazing conservation efforts aren’t anymore. 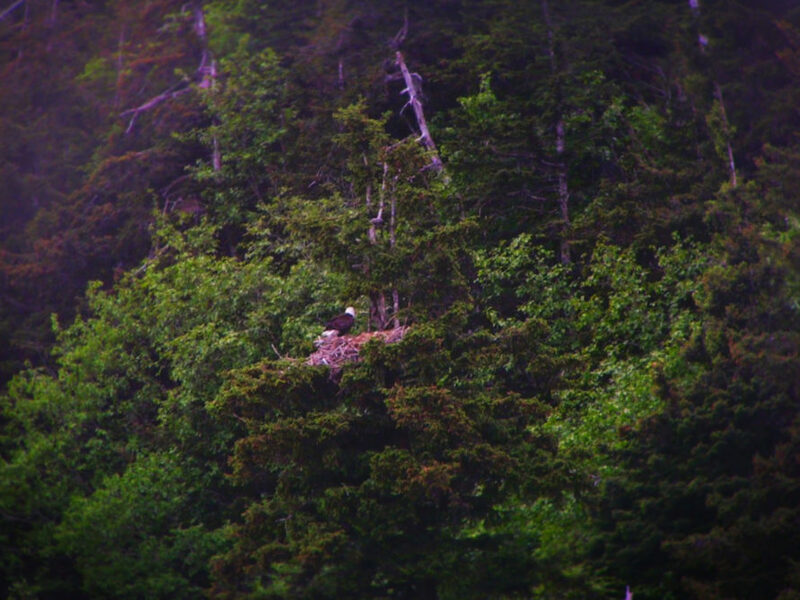 Chances are you’ll actually see bald eagles on your drive there. 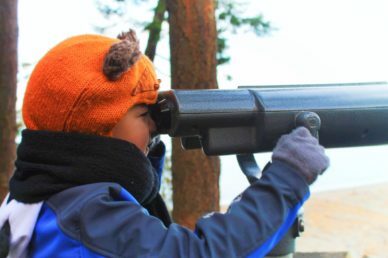 Once you’re out of the woods keep an eye in the sky, in the trees and air, and then on the beach for bald eagles. 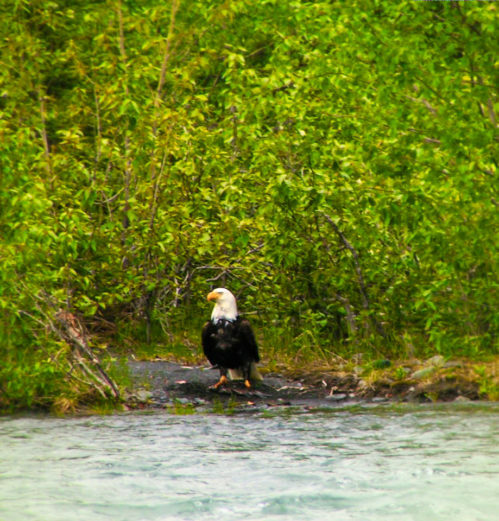 Depending on the time of year you might actually spy an eagle munching fish on the shore. It’s the coolest thing. The other area where you’re going to find a lot of birds in the lagoon that’s a part of the Dungeness National Wildlife Refuge. Well there are lots of Resident flocks of birds around the Olympic Peninsula lots of birds. It so well protected no humans allowed directly in the water. 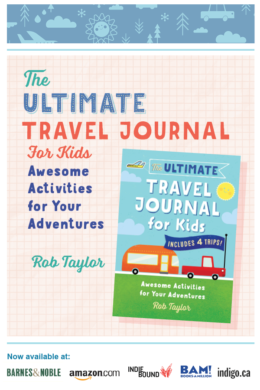 Perfect for raising Young or find some peace on a long journey. I know nothing about. But as well as striking black and white birds. Sorry, I’m no help. Most people from anywhere outside of the Pacific Northwest think that our lives are nothing but salmon, totem poles, and orca whales. That’s not completely true, but then again our lives are 90% salmon. 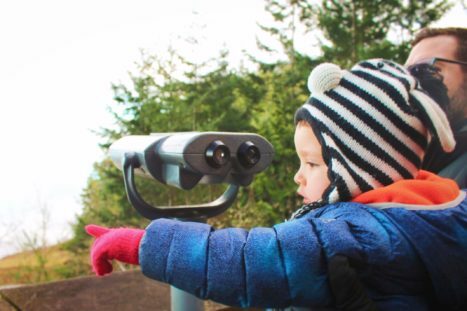 While you’re at the Dungeness National Wildlife Refuge a good place to start your whale hunt is actually at one of the viewpoints up on the bluff. 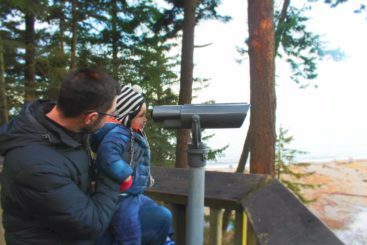 Before you even get to the trailhead there are two different places you can pull out just to watch the Strait of Juan de Fuca moving in and out to the Pacific Ocean; this is a great place to watch for whales. 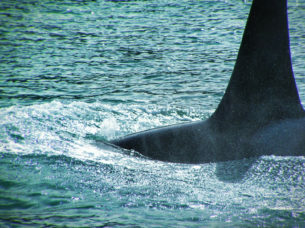 With such active pods of orcas in the Puget Sound area they will be going by Sequim several times throughout the year. 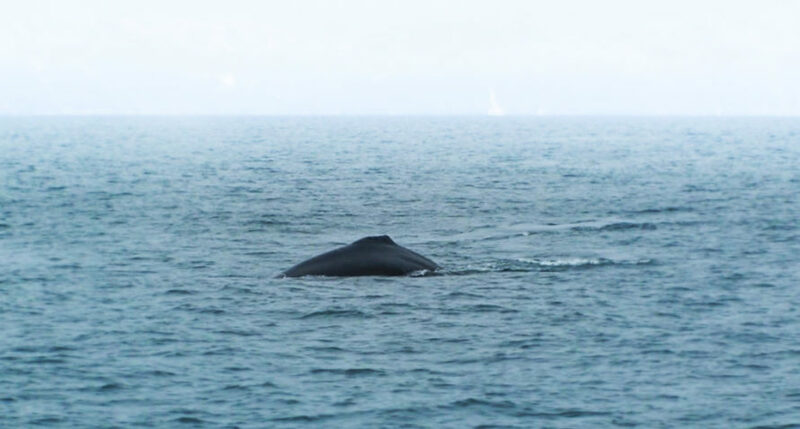 Prime whale watching season begins at the beginning of May and goes through the end of September, but if you’re around you always stand a chance to see something. 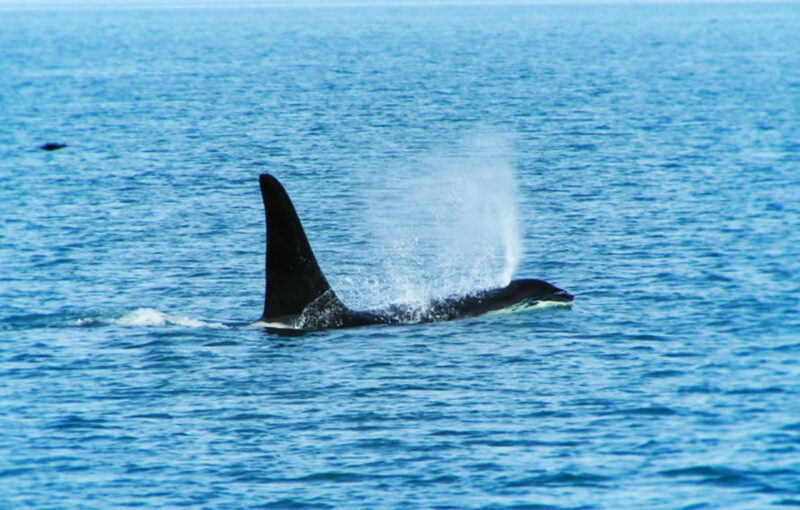 Orcas and gray whales are the two most common whales seen in the Puget Sound area. We’ve seen both. 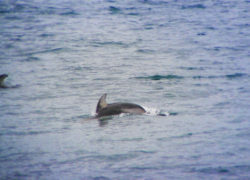 We have also seen Pacific white-sided dolphins as well as harbor porpoises. 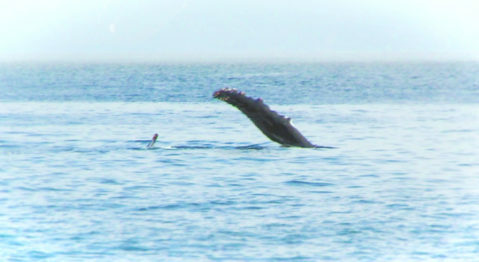 We’ve heard stories of people seeing humpback and minke whales from here but we have not gotten to see them ourselves. Tip: Another great place to sit and watch for whales is at Cape Flattery which is at the very end of the Olympic Peninsula. We’ve seen gray whales from there. Other fun marine mammals you might encounter are harbor seals or sea lions. 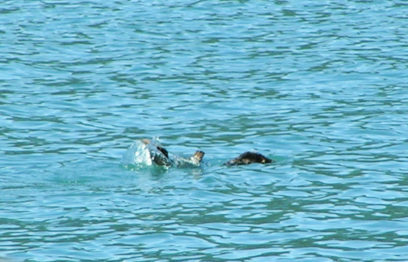 We’ve also seen otters several spots around the Puget Sound. The otters or more commonly seen in the Port Townsend area of the Olympic Peninsula but who’s to say you’re not going to run into them there at the Dungeness National Wildlife Refuge. For sure you stand a chance to see harbor seals, especially when it is time for them to have their pups. Seal pups will often be left on the shore while their moms jump into the water to do some fishing, but this does not mean that they’ve been abandoned. If ever you see a seal pup on the shore watch it from a great distance and be thankful you got to see it. Don’t worry, it’s not in distress no matter what you might think. Note: never ever approach any sort of seal or sea lion, either at the Dungeness National Wildlife Refuge or anywhere else. Seals are sensitive and also dangerous. Don’t be a fool. 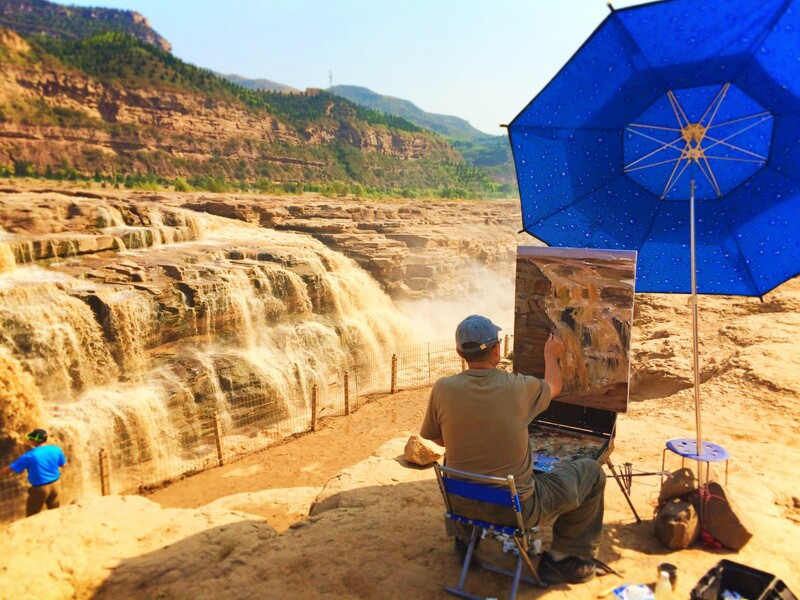 From the viewpoints on the bluffs to the beach you have several other interesting sights you can see. Looking to the southeast you’ll see the Olympic Mountains. 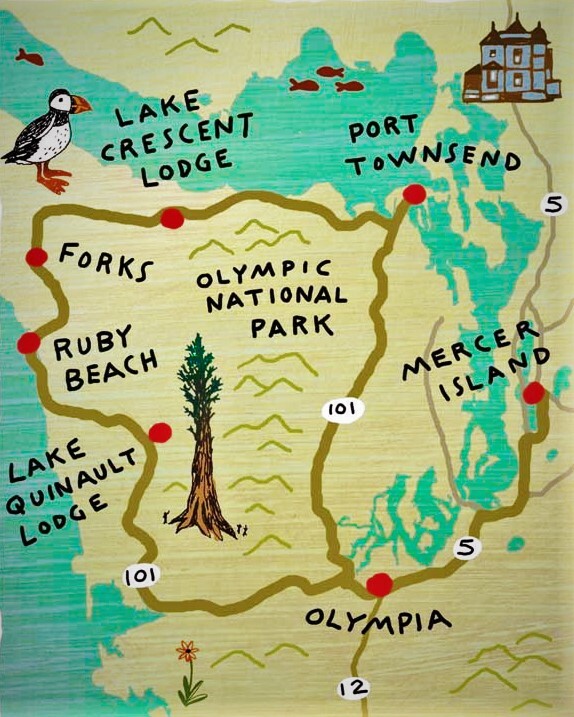 The entire thing is within Olympic National Park and is its own trip. 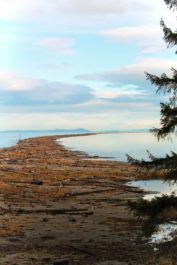 As you look to the Northwest from the Dungeness National Wildlife Refuge you’ll see Vancouver Island and the start of the city of Victoria. 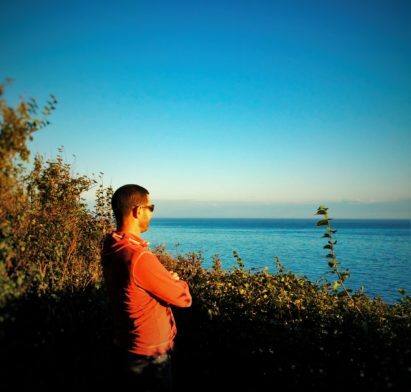 Another fun day trip from the area is to walk onto the ferry in Port Angeles about 15 minutes away and go explore Victoria. Tip: don’t forget your passport if you want to visit Victoria, as it’s in Canada. 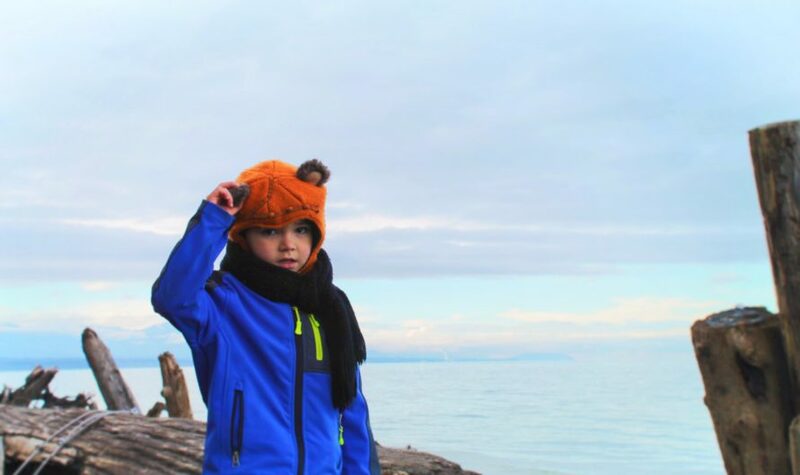 The final and most eye-catching sight you’ll see from here is Mount Baker in the Cascade mountain range. 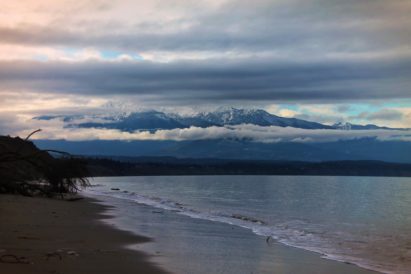 To the east of the Olympic Peninsula lies the main part of Washington state. The Cascade Range stretches all of the way from British Columbia down into California. It’s a huge beautiful mountain range and we are so fortunate to have some amazing peaks in Washington State because of it. 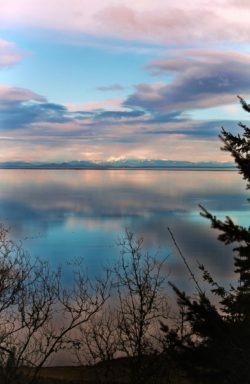 Late afternoon or early evening is the most beautiful time to check out the Cascades and Mount Baker from the Dungeness National Wildlife Refuge, as the light is amazing. 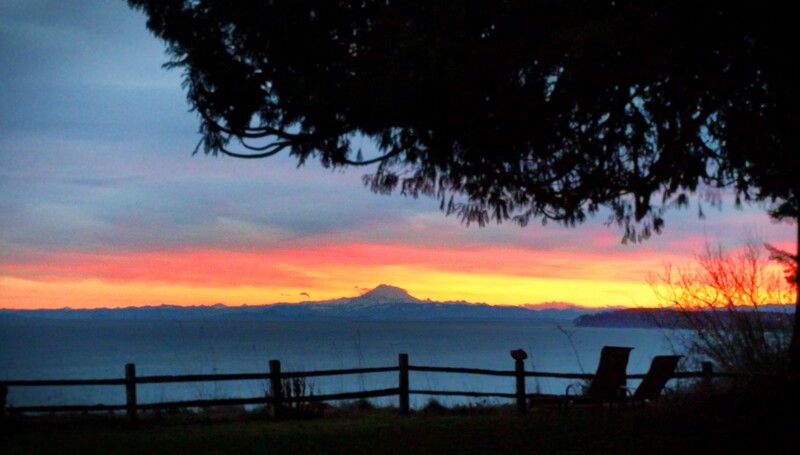 So once again here is another reason to visit the Olympic Peninsula Washington State. We know we’re lucky to live here and we know that we do live in the most beautiful place on Earth. Sure, tropical waters and lava flowing volcanoes surrounded by jungles and monkeys are pretty but the Pacific Northwest is beyond beautiful and when you come to visit you’ll feel like it’s your own home. Come check it out! I want to visit this refuge and thanks for the great tips about the tides. We went kayaking and didn’t take this into consideration – yikes! Thanks for including that! 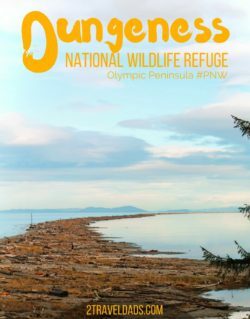 wow, I have never heard of the Dungeness National Wildlife Refuge but I may have to add it to my bucket list! What beautiful scenery! 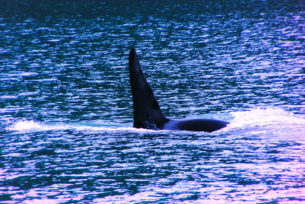 To see the bald eagles and whales alone would be worth it over and over again! 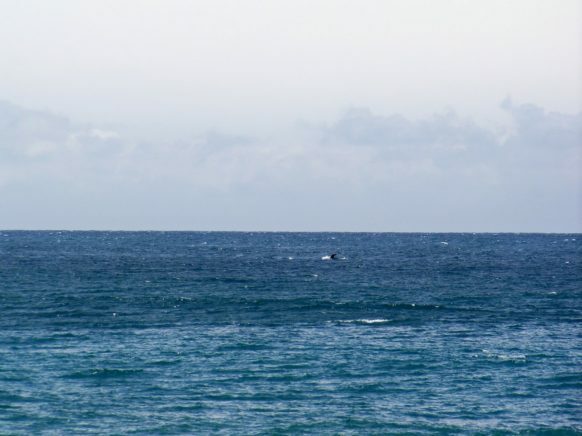 I really want to go whale watching. Glad to know that it is possible to do that in Washington! That makes me want to take a short trip there! I went here by car, I feel like I’ve missed so much though! 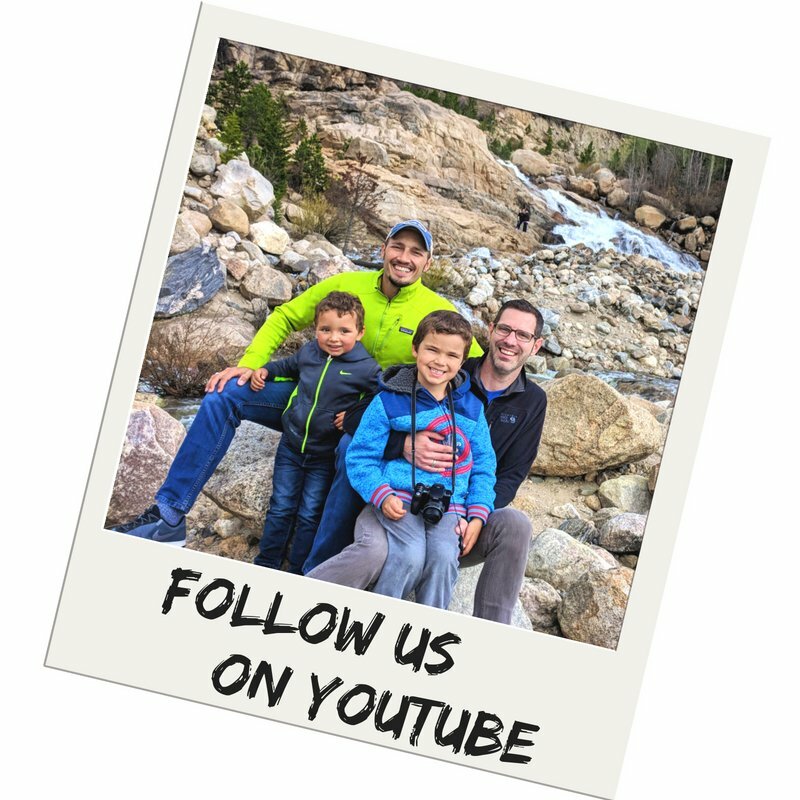 It’s great to get the kids out in nature like it was for us when we were kids! Also being alone meant you got some great bird watching in, well done. Madronas are my favorite! Also, the Dungeness Spit is beautiful. I have lots of childhood memories there. But, I’ve still never walked all the way to the light house! We need to do that sometime!